﻿ Team Trading Contracts Part 2: Do You Need Team Business Contracts? You’re just stepping out into the bright, shining world of binary options with $500 in your pocket and your eyes on the skies. You have met several friendly traders online who share your hopes and dreams, and also enjoy using similar trading techniques. After talking for a while, you have realized that you can trade using the same method together. Your friends are spaced around the world in such a way that each of you can log onto the same account to place trades while the others are not available. That way as a team you can make sure you never miss a trading opportunity. You can pool your capital and aim for the stars. Sounds great, right? Business relationships tend to start that way. Sometimes they do reach the stars, and can be highly lucrative and rewarding ventures for everybody involved. Other times they crash and burn. In many ways, a business partnership or joint venture is like a marriage. You go in hopeful, but the odds are not exactly tipped in your favors. As the saying goes, half of all marriages end in divorce. You can expect the same for joint ventures. Just as you should walk into a marriage with a prenuptial agreement, you should walk into a business relationship with a business contract if you are going to be sharing capital, risks, and rewards. Do you really need a contract? That depends on how your trading team is structured. If you are only going to be sharing strategies and opportunities, but you are trading with separate accounts and taking separate risks, you may not need a contract, because you are only loosely working together (like members of an internet forum might do). If on the other hand you are going to be working closely together, and one person’s decision can cause the entire team to gain or lose money, a business contract is essential. Doing business with friends can become sticky fast, and actually, in situations like that, it is even more important to have a contract. Why? The contract may actually end up protecting your friendship and not just your business someday. It is an act of good faith. The other reasons listed above are also poor excuses. Even if you are not making money now, that does not mean you are not engaged in a serious venture. If you wait, nobody will have any rules to enforce the proper distribution of the gains. And in the meantime, who is responsible for losses or debt? If you do not know what you are doing, do some research. Consider asking advice from a lawyer if you really need help. Trading is a serious business, and you should treat it like one from day one. Otherwise you are not really ready to trade. Be successful from the start. Technically, any time you engage in any kind of business transaction of any sort, you have created a contract. Oral contracts are legally binding, but they are nebulous and tough to enforce or interpret in real life. They are fine for many purposes, but if you are going to have a long-term working partnership with other traders, you are going to want your contract in writing. Prevent expensive disputes later in time by providing clear, solid answers. Provide an exit clause if someone wishes to leave the trading team at a later date. Provide instructions as to how winnings should be distributed. Clarify who owns the trading account if the account is shared. Discuss who is responsible for the burden of risk, and how losses will be distributed. State who may withdraw from the account, when, and how much and how often. State who may deposit into the account, when, how much, and how often. Prevent team members from trying to impose arbitrary changes in the future which might result in your expense. If relationships go sour, it may not destroy the entire team. In general, it is probably best to avoid sharing a binary options account if you trade with a team. Another situation where it might arise however involves clients and not team members. If you become good at trading, you may find investors who want you to trade for them with their money—and give you a percentage in return for the profits you generate. That is a situation where you absolutely must have a business contract in place that protects you. What’s in a trading mentor? The contract must be in writing and preferably take the form of a signed, physical document (not just the chat logs of your team trading sessions online). The contract should spell out specific provisions and be signed and dated by every party involved. You should also have a clause for making changes in the future so that the contract cannot be arbitrarily edited. Use simple, clear language. You do not need to make your document complicated or write it in legalese in order for it to be legally enforceable. In fact, the simpler it is, the easier it will be for you to deal with later. Leave nothing out. 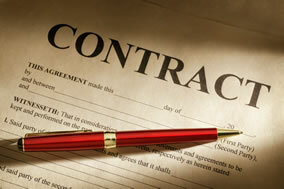 Your written business contract should include all agreements made. Nothing should remain spoken only. You also need to carefully make sure you think through all possible situations and do not leave any loose ends. Think about all possibilities, good or bad. In fact, always ask yourself the worst that can happen, and then draft up a contract that will protect everybody in that situation fully. As one final tip, if you are entering into a serious business relationship and the party you are dealing with refuses to consider a contract, you probably want to run, not walk, for the door. This is true whether you are talking about dealing with a client who wants you to invest on his behalf or a would-be trading team member who wants to pool capital with you and share trading decisions. That is one more way in which a contract protects you. Just bringing it up will send a lot of untrustworthy persons for the door. And if they demand you stick around, you can go somewhere else and find somebody else to work with. As a reminder, if you feel uncertain about trading with a team or taking on investment responsibilities for somebody else’s account, you do not have to. It can take longer to go it alone with your own capital, but you should never make business decisions out of fear. If you believe you would be more successful with a team and enjoy a harmonious relationship with your teammates, then by all means, go for it. But if you believe you would be more successful in the long run alone, even if it looks like a harder, longer course to steer, you may be better off trading on your own. It doesn’t hurt to look for team members that have these lifestyle assets.